A traditional micro geocache close to the main gate into the Church of St John. The parish church is dedicated to St John (originally it was dedicated to St John the Evangelist but from 1912 the dedication was changed to St John the Baptist). It stands in St John village which is a very small community. The Parish of St. John-in-Cornwall is so called since when the County of Devon included much of the Rame Peninsula, St. John was on the Cornish border. 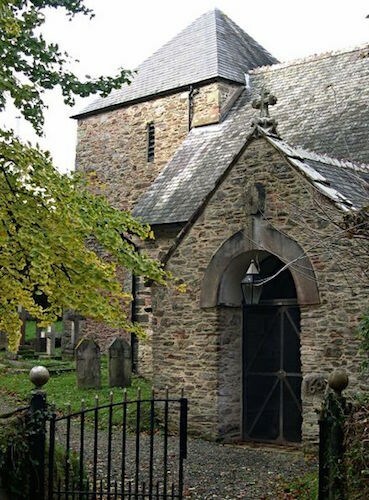 A Church certainly existed here in 1080, if not earlier, for it is recorded that Abbot Geoffrey of Tavistock (1082-88) gave up his Cornish Manors to the Knight of Erbenald, he reserved the ownership of the Churches of Antony, Sheviock and St. John-in-Cornwall. About 1040 Cornwall lost its Bishop and St. Germans, its Cathedral status. The Diocese was combined with that of Devon under the Bishop of Crediton. Ten years later the See was moved to Exeter. It was to be another 800 years before Cornwall had its own Diocese again, that of Truro. The original Church appears to have been rebuilt about 1150. The present Church has a Norman Tower dating back to c. 12 century. Until 1866 it had a west door, now blocked off, and arch of the early English shape. There is a fairly complete list of Rectors, from 1270, on the West wall of the Tower. There are three bells hung in the tower, one of which dates from the 15th Century. The Nave and Chancel, with perhaps the exception of the north wall, appear to have been rebuilt in about the early part of 14th century. There is a brief reference to this in the Churchwardens' accounts in 1749. The simple nave and chancel with West Bell tower occurs in a number of churches erected under the influence of the Norman manorial Lords and the Church at St. John may owe its shape to this. On both occasions that I visited, the church was locked. Parking for one car is available in the lane opposite the cache or adjacent to cache. There is no need to move any rocks or stones to access the cache- please take care not to drop it down the drain!! Nobhg 3 srrg hc ng onfr bs gerr va n fznyy ubyybj pbirerq jvgu zbff.